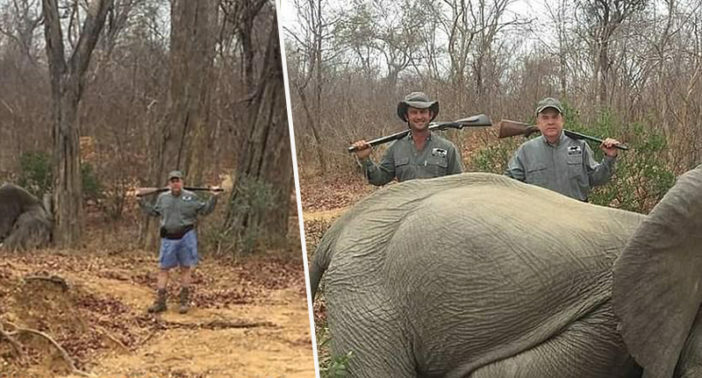 TopGen Energy partner, Mike Jines reportedly shot and killed the elephants while in Zimbabwe, Africa. The alleged hunt took place in October 2018, but the photos have only just come to public attention. It has been alleged that Jines went trophy hunting accompanied by professional hunter Max ‘Buzz’ Delezenne. Jines has claimed he killed the elephants in self-defence, and that the elephants had charged at him. He has also refuted the animals were infants and instead two adult elephants. As reported by CBS, Jines has claimed the elephants ‘were shot in self-defense, in an unprovoked charge and both elephants were fully mature cows, not juveniles’.